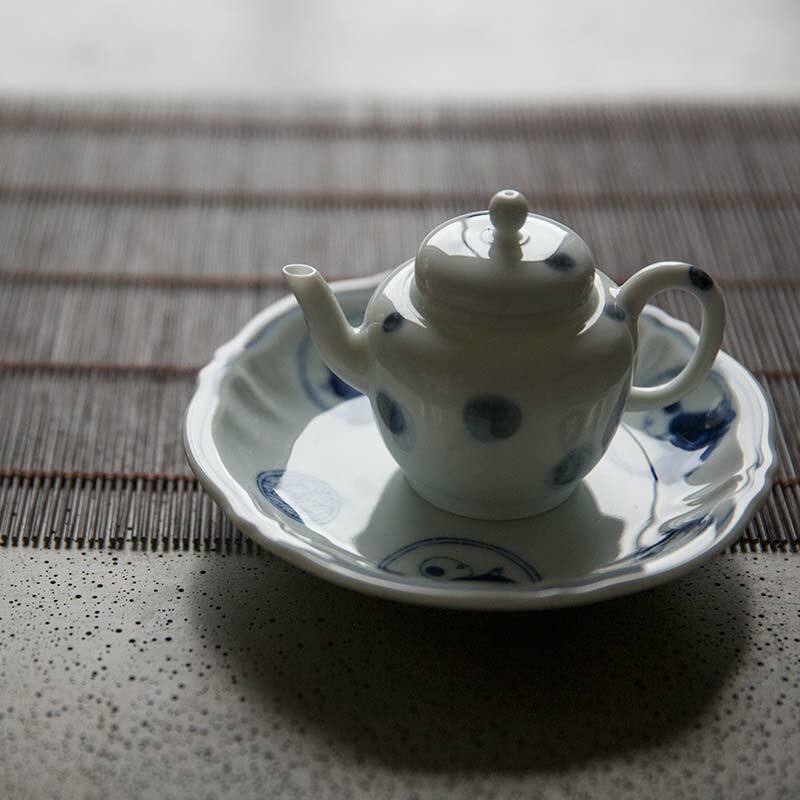 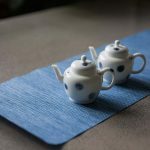 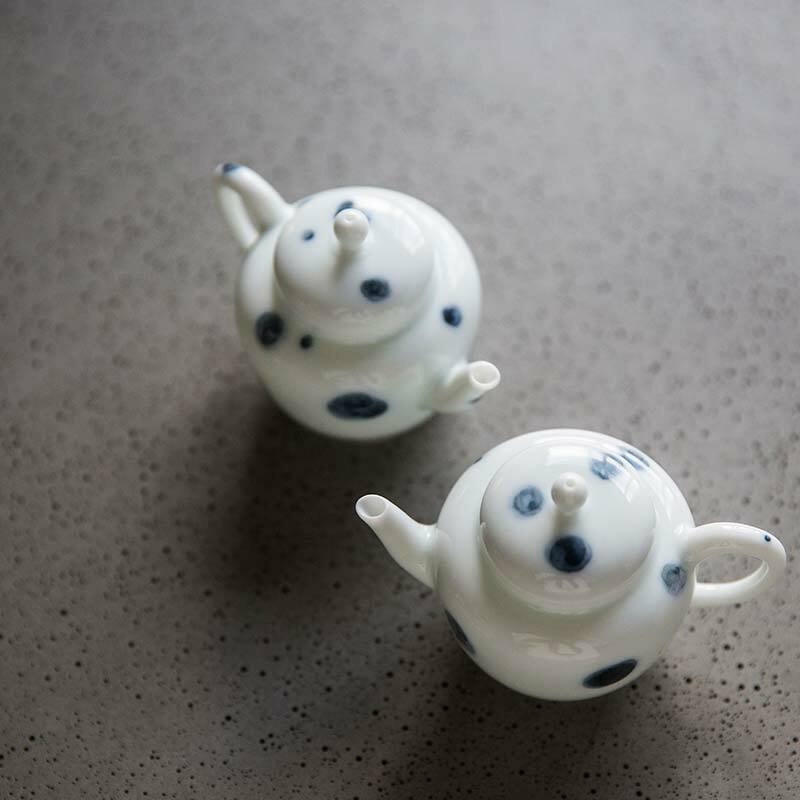 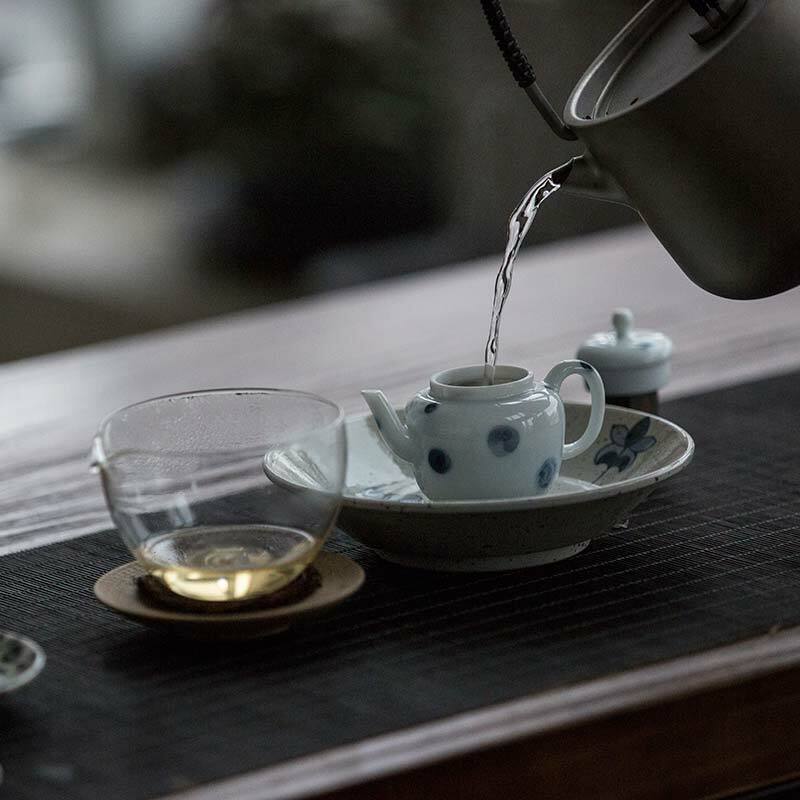 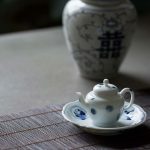 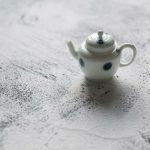 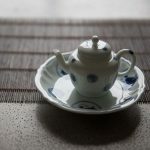 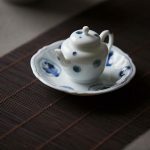 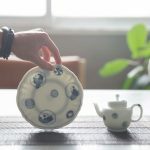 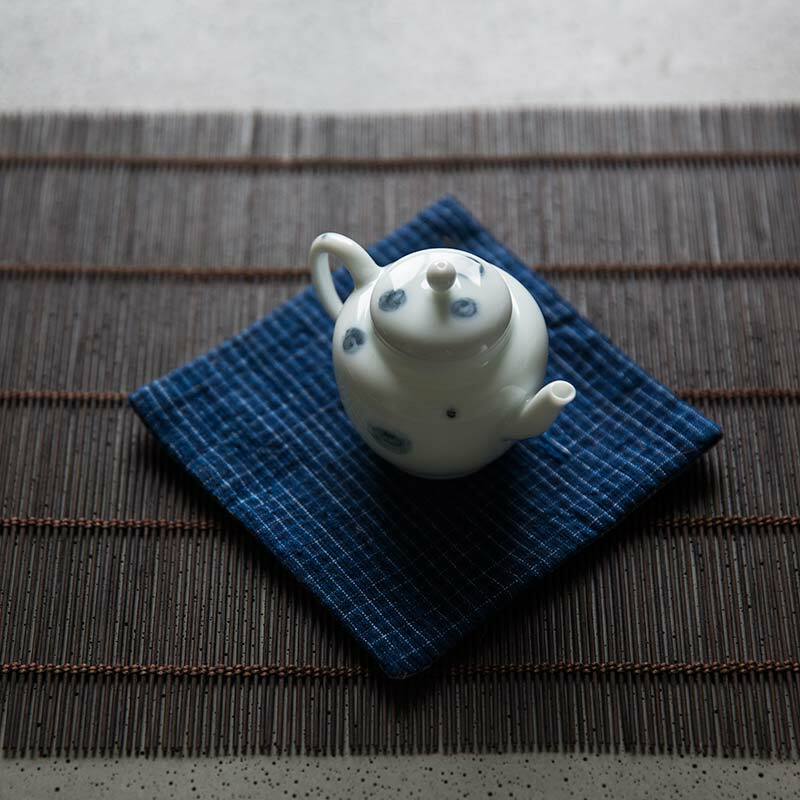 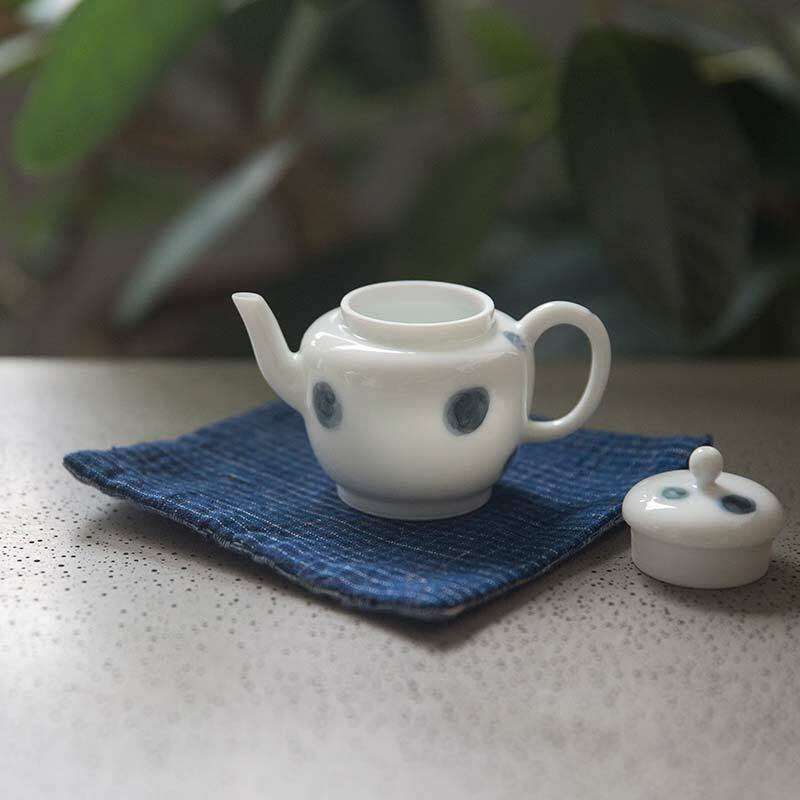 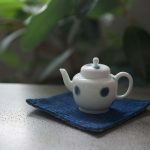 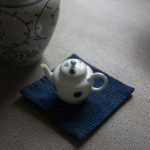 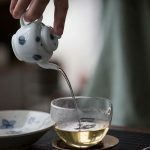 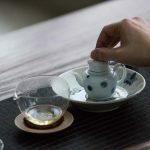 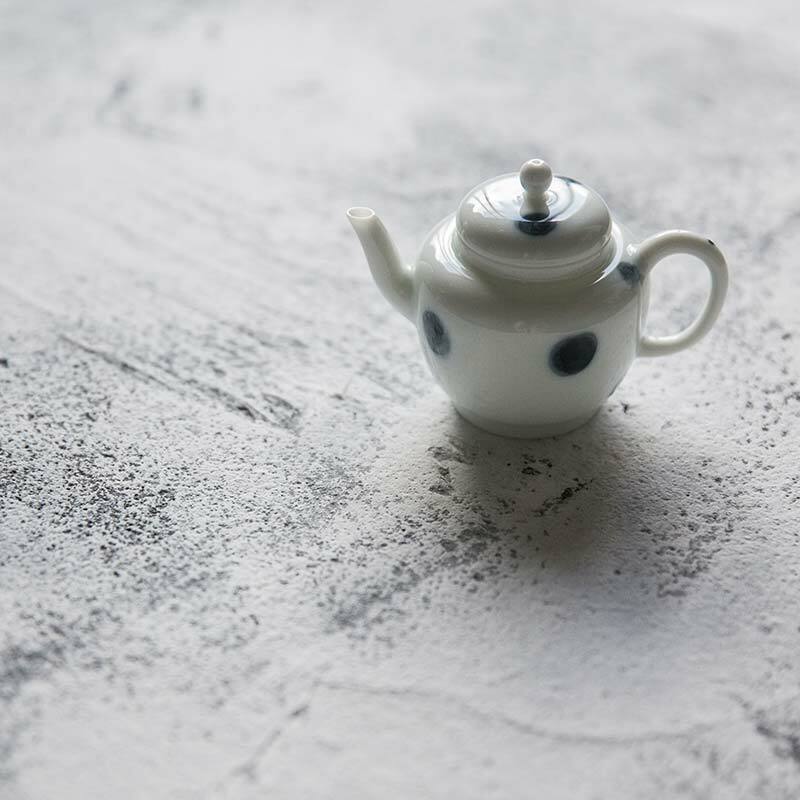 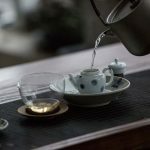 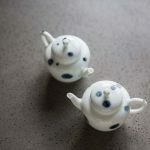 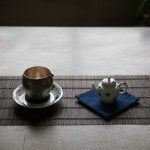 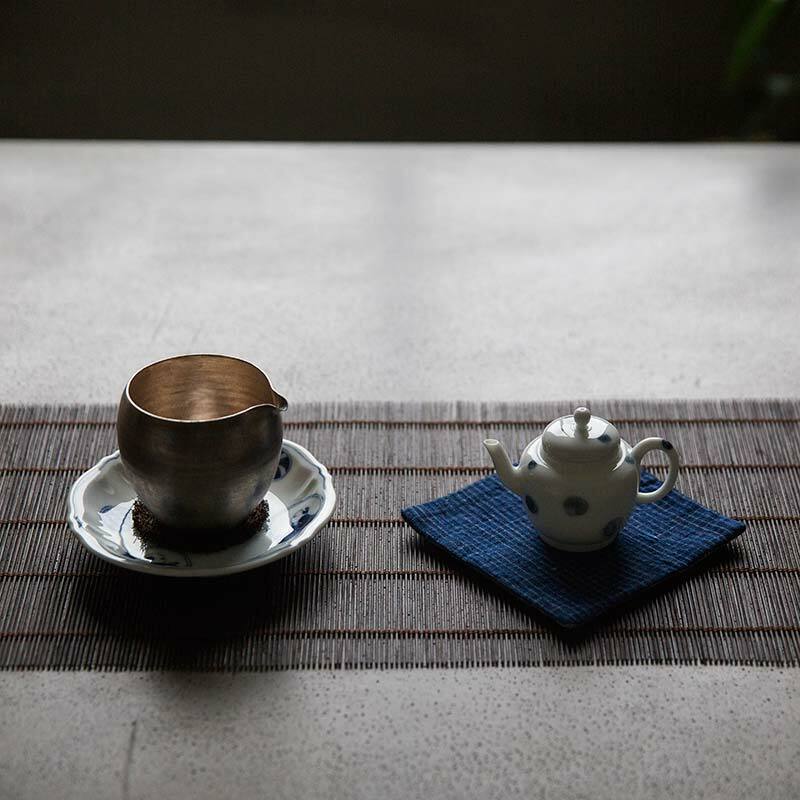 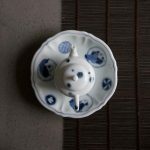 These small porcelain teapots feature blue qinghua painted dots over a delicate, semi-translucent body. 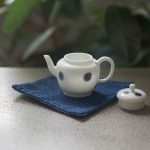 Each one has a large ball filter and holds approximately 90ml. For matching plate, please see our qinghua pot support.